1. Will voucher programs and tax credits for biblical creation friendly religious schools rapidly proliferate in the United States, Canada, Europe, other Western countries and worldwide? 3. Does school choice increase the quality of education and reduce costs? 4. Are many American teachers reluctant to endorse evolution in class? Will creationist students around the world increasingly challenge evolutionary indoctrination in schools? Governments in the Western World have massive debts plus the private sector in these countries have a lot of debt as well (see: Major economies and total debt to Gross domestic product - 2011 ). This has recently helped spawn the Eurozone financial crisis. In the United States reports of school districts reducing the amount of school days from 5 days a week to 4 days a week are occurring. Given the Eurozone crisis this could start happening in Europe too. Obviously, cost cutting measure like these are going to increase the public's dissatisfaction with public school education. In 1990 in the United States, there was approximately 8.5 times more public schools than private schools. Also, in the United States many public schools are failing. In addition, homeschooling is growing in the United States. Fox News declared in 2012: "Nationwide, more and more families are choosing to home school their children each year, and the fastest growing segment of the home school movement is African-Americans, experts say. Some 220,000 black children are home-schooled, according to one estimate." Private school costs are lower than those of public schools. 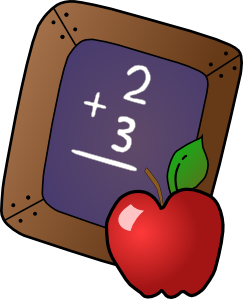 In fact, Education Department figures show that the average private elementary school tuition in America is less than $2,500. The average tuition for all private schools, elementary and secondary, is $3,116, or less than half of the cost per pupil in the average public school, $6,857. A survey of private schools in Indianapolis, Jersey City, San Francisco, and Atlanta shows that there are many options available to families with $3,000 to spend on a child's education. Even more options would no doubt appear if all parents were armed with $3,000 vouchers. Total private school costs per student were 30.1 percent less than public school costs. The most recent figures available from the U.S. Department of Education show that in 2000 the average tuition for private elementary schools nationwide was $3,267. Government figures also indicate that 41 percent of all private elementary and secondary schools -- more than 27,000 nationwide -- charged less than $2,500 for tuition. Less than 21 percent of all private schools charged more than $5,000 per year in tuition. According to these figures, elite and very expensive private schools tend to be the exception in their communities, not the rule. Many people may think private schools are expensive because the costlier private schools also tend to be the most well known. For example, many in Houston have heard about St. John's or Tenney High School, where tuition runs over $13,000 a year. But fewer Houstonians have likely heard of Southeast Academy, Woodward Acres, or Pecan Street Christian Academy, all of which charge less than $3,000 per year, well below the city's private school average of $4,468. According to a news program by John Stossel, Belgium has a school system which funds students to attend primary and secondary schools and they can use those funds to attend any school or their choice whether it be a religious private school, a non-religious private school or a public school. I would argue that the Western World is increasingly facing increased economic competition from the Eastern World. I believe this will cause education to become more efficient through school choice measures and more online education as well. U.S. children being home-schooled has steadily increased during recent years and shows no sign of declining, a statistician says. There was a 74 percent increase in the number of home-school children between 1999 and 2007. Gail Mulligan of the Department of Education's National Center for Education Statistics said a variety of reasons led to 1.5 million children being primarily educated in U.S. homes in 2007, USA Today said Monday. In 2010, it was estimated that about 4% of students were homeschooled and there were about 2 million homeschool students. Homeschooling is growing worldwide too. 4. 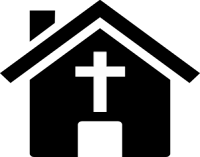 A large increase in creation evangelism, internet evangelism and other forms of evangelism. 5. School choice provides superior schools (see: Videos below). 6. Many countries are buried in public and private debt. They will turn to more inexpensive schooling options. 7. Increased global competition will force education to become more efficient and have higher quality. Countries that fail to do this will fall behind. This is nothing new. American car manufacturers were forced to increase their efficiency and quality due to foreign competition for example. One of the things our Question Evolution! 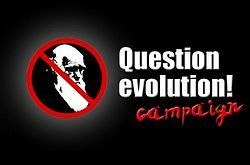 Campaign group is working on is developing educational materials relating to the 15 questions for evolutionists. We definitely want to inoculate more and more young people BEFORE they are indoctrinated into evolutionary dogma. In short, we want to cut off the air supply to evolutionism, atheism, agnosticism, deism and theologically liberal religion. In 2011, a study was published indicating that most United States high school biology teachers are reluctant to endorse the theory of evolution in class. As we develop more Question Evolution! material for young people such as booklets, books, videos, online courses, classes, etc. we believe that more and more students will challenge evolutionary indoctrination in class - especially if they are encouraged to do so. Evolutionists, start thinking the "unthinkable"